XSEED, the North American publisher for Ys: Memories of Celceta, has officially confirmed a release date for the game. It will be released in North America on November 26th of this year for the PlayStation Vita. The game is being published by NIS America in Europe and is set for release there sometime in early 2014. Ys: Memories of Celceta is an action RPG first released in Japan back in 2012 as Ys: Foliage Ocean in Celceta. 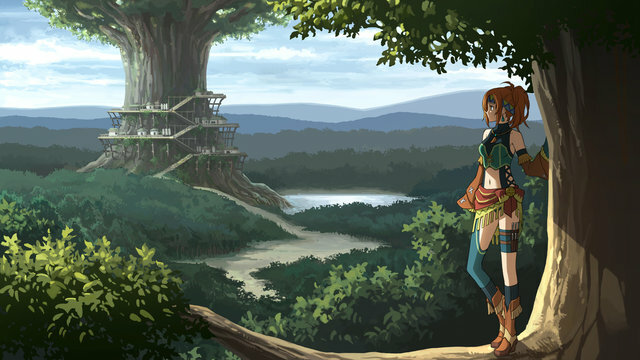 It is considered the fourth game in the Ys series, replacing the non-Falcom-developed games Mask of the Sun and The Dawn of Ys in the series canon. The game features fast-paced combat, fully animated cutscenes, and an impressive soundtrack. It also features a completely new story. If you’d like to see for yourself, be sure to check out the gameplay trailer XSEED just uploaded, along with the older E3 2013 trailer. Two versions of the game will be available for the North American release: the standard edition, which will cost $39.99 USD/CAD, and a Silver Anniversary edition, which will go for $59.99. The special limited edition will include a three-CD music compilation and a full book of maps, strategies, and artwork in addition to the game itself. Both versions of the game are now available for pre-order from several places. Overall, Ys: Memories of Celceta seems to be an exciting release for JRPG fans. If you’re still on the fence, be sure to check out our hands-on impressions of the game from E3 2013. And be sure to stay tuned for more news, including the official European release date, which is bound to be announced soon.